The Williston Fire Department is a combination department that provides fire and advanced life support emergency medical services to the city of Williston, ND. 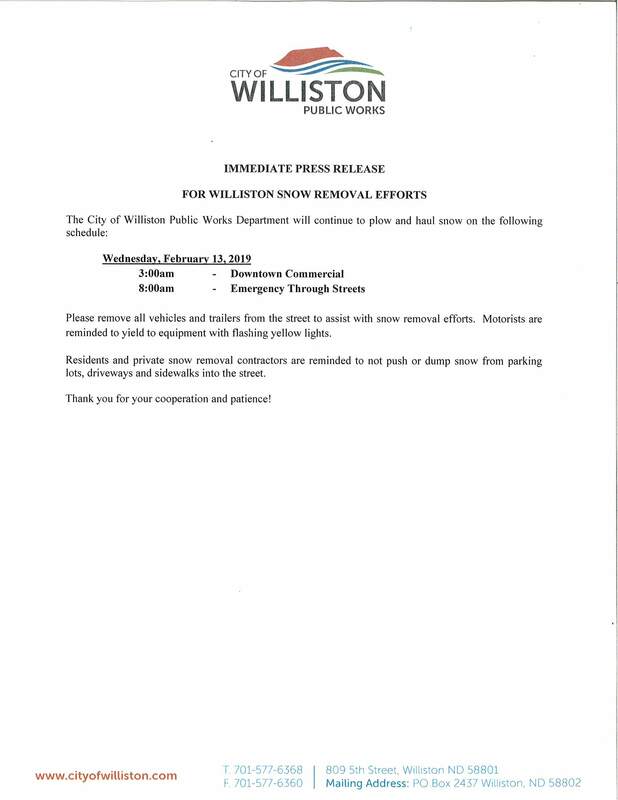 The department also provides advanced life support emergency medical services to the approximately 1000 square mile area surrounding the city in both Williams and McKenzie county. 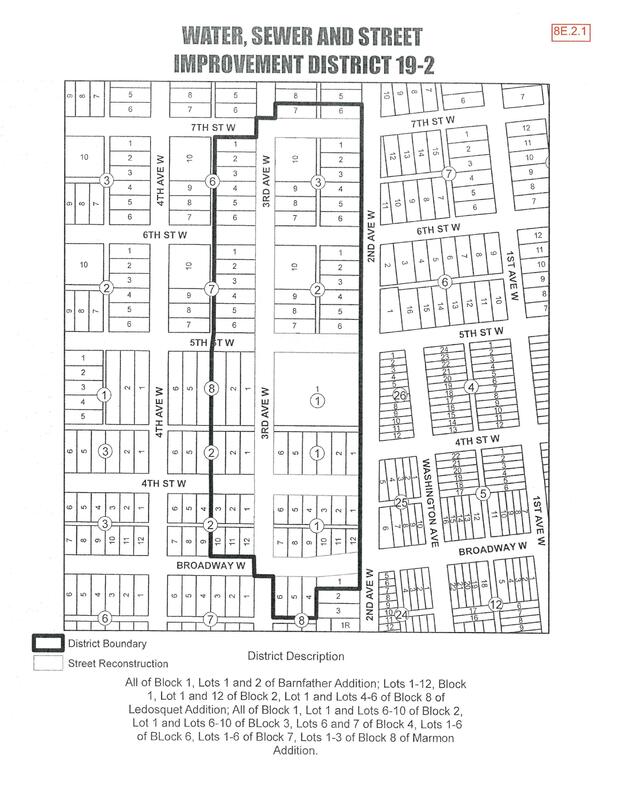 The department is staffed by 64 career personnel and 30-40 volunteers. 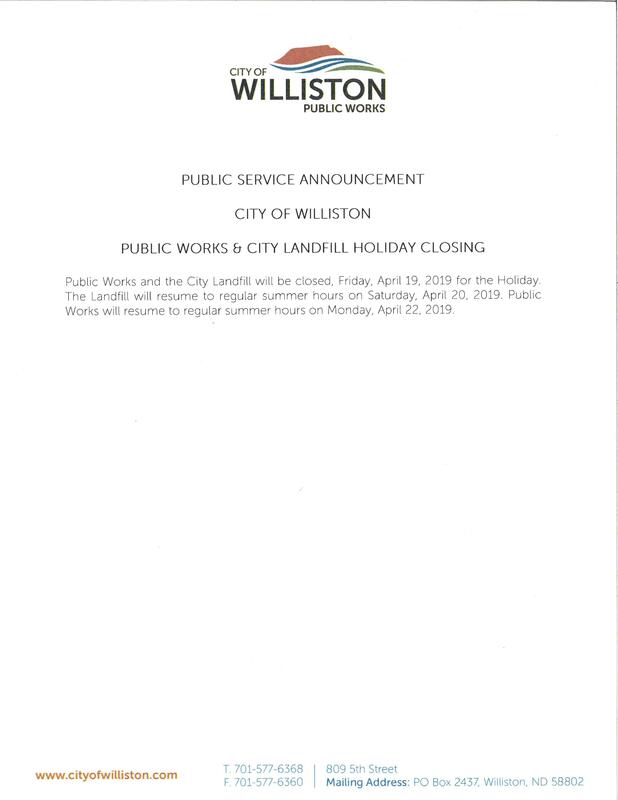 The City Landfill will be closed at 3:00 PM due to high winds, Monday, March 4, 2019. 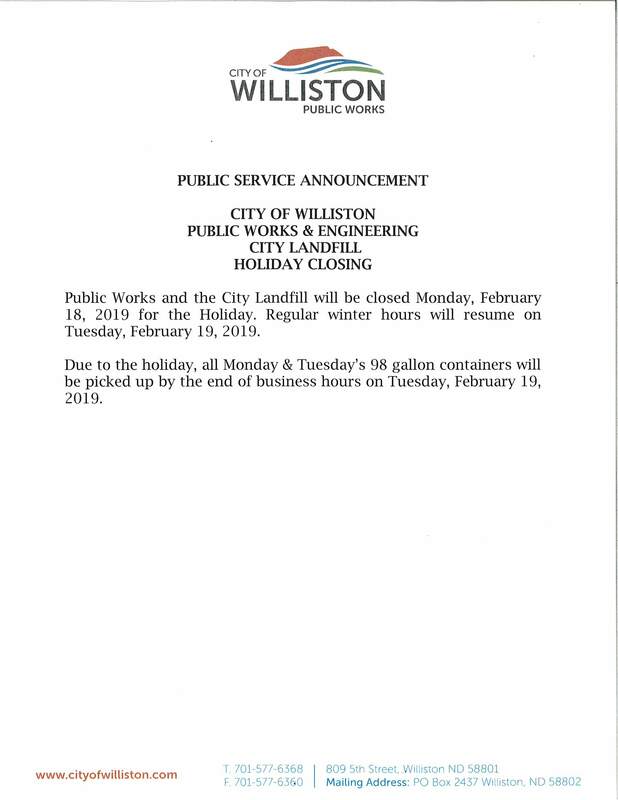 The Landfill will reopen to regular winter hours when conditions allow. 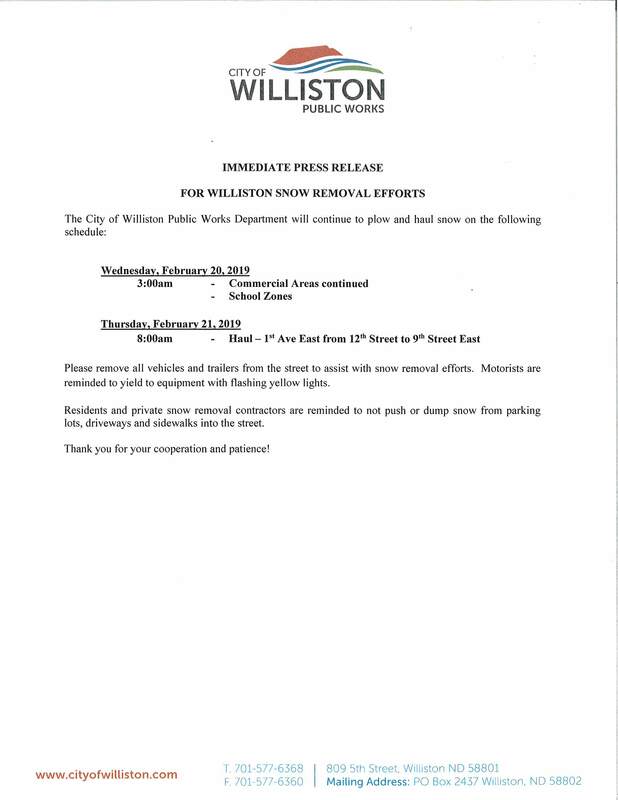 Just a reminder to all property owners within the city limits, grass and weeds must be kept under eight (8) inches. 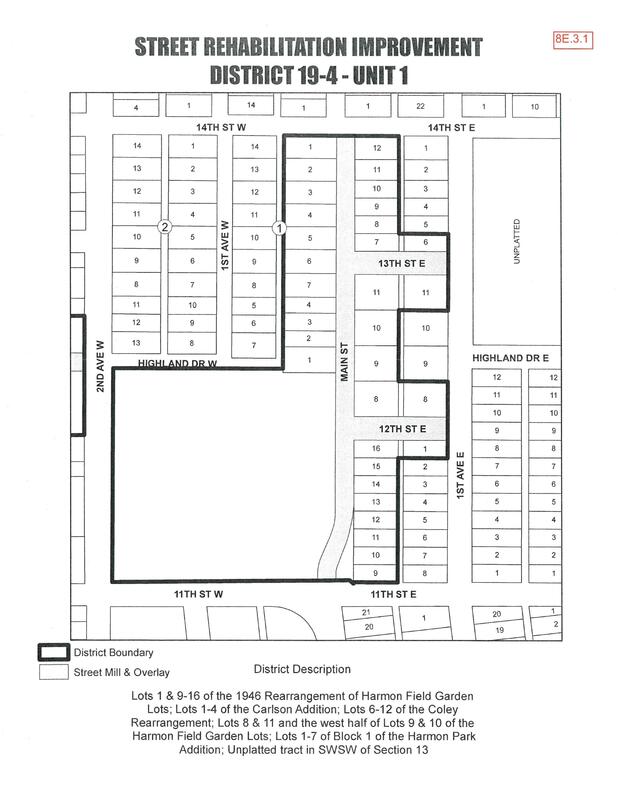 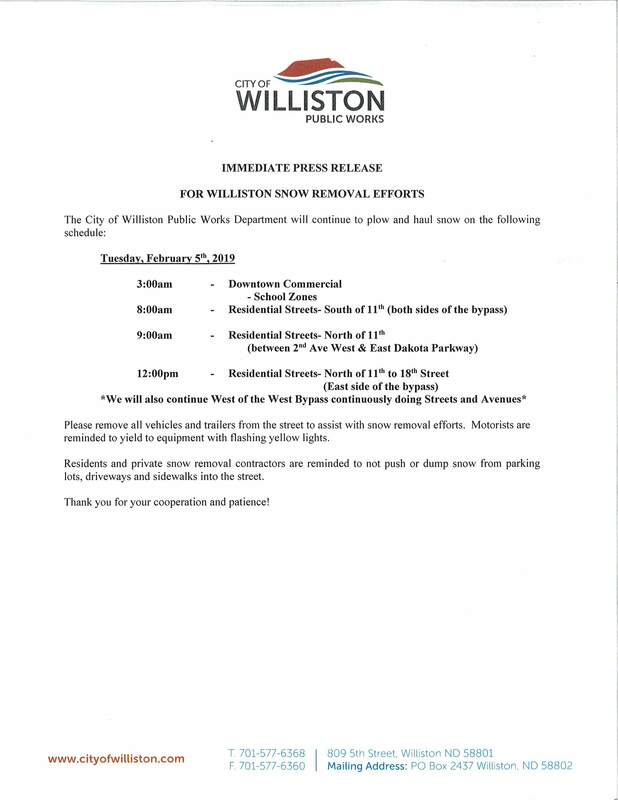 Ordinance #1054 requires notification to be published in the Williston Herald around the 15th of each month and no longer requires certified mail notification to a property owner in violation prior to a contractor being sent to maintain the property. 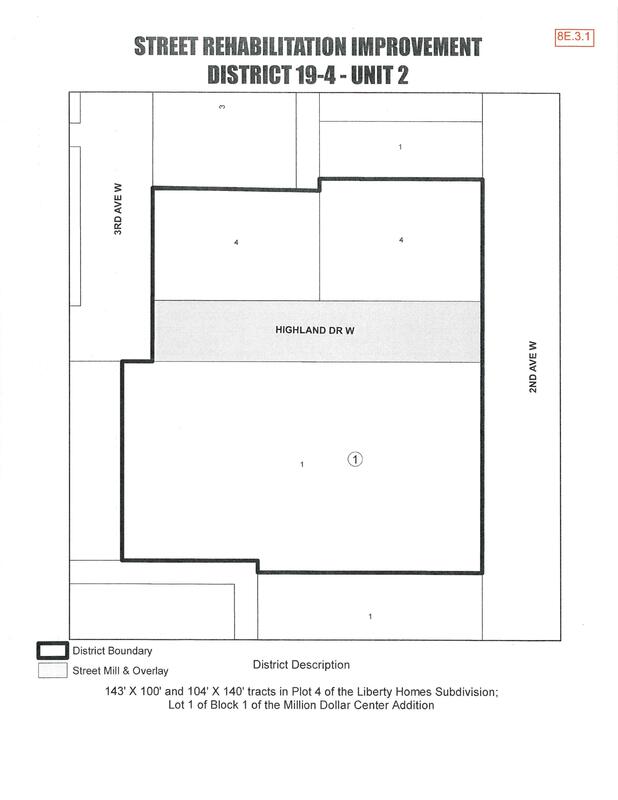 Code Compliance officers will attempt to post a courtesy notice on the property structure if available. 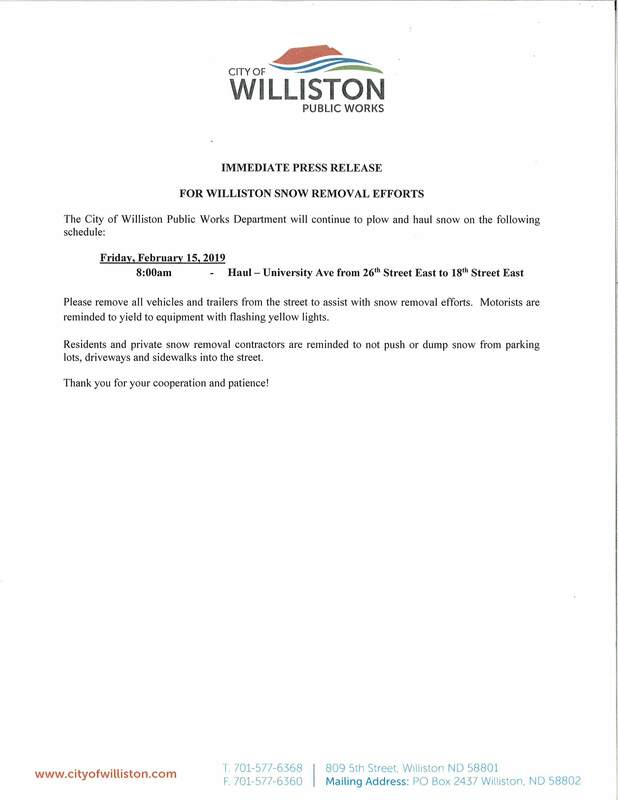 If you have any questions, please call the Code Compliance Division at 701-713-3838. 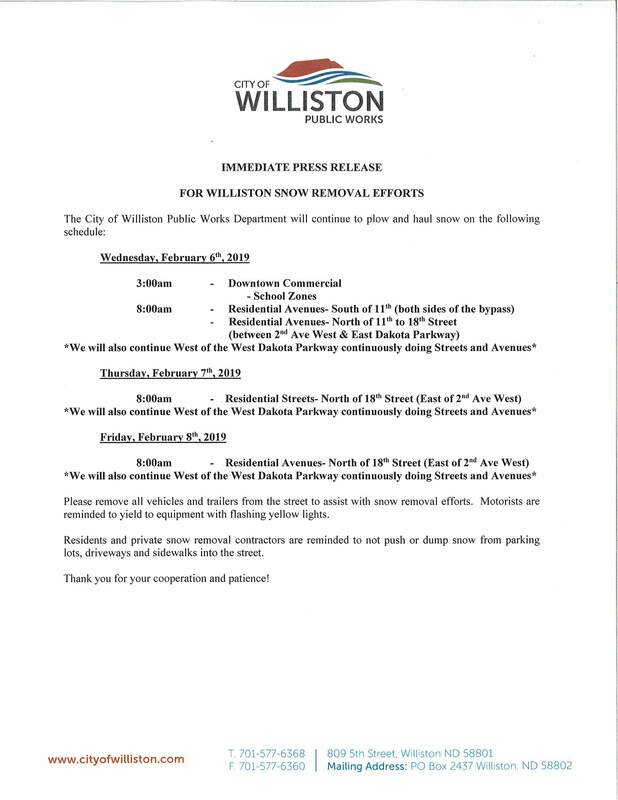 Williston, N.D. (March 29,2017) – JE Dunn, the 10th largest general contractor in the United States, was approved by the Williston City Commission at their meeting Tuesday, March 28, to build the new Williston Basin International Airport terminal. 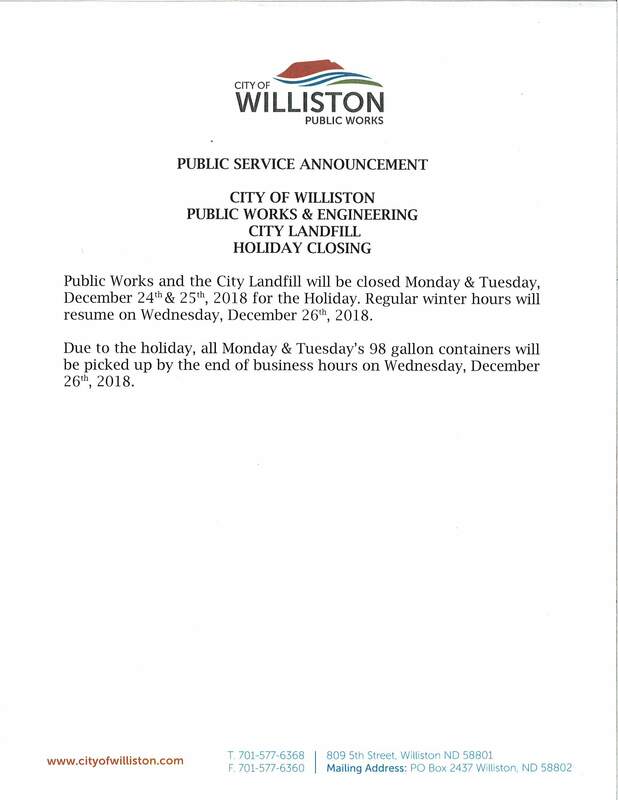 The general contracting firm, with an office in Williston, was chosen through a quality-based selection process as the Construction Manager at Risk, winning out over one other bidder. 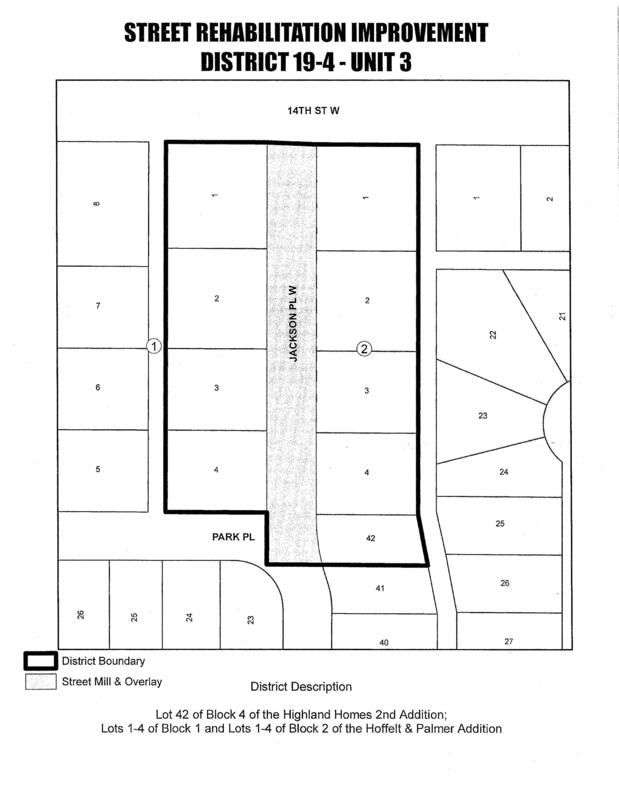 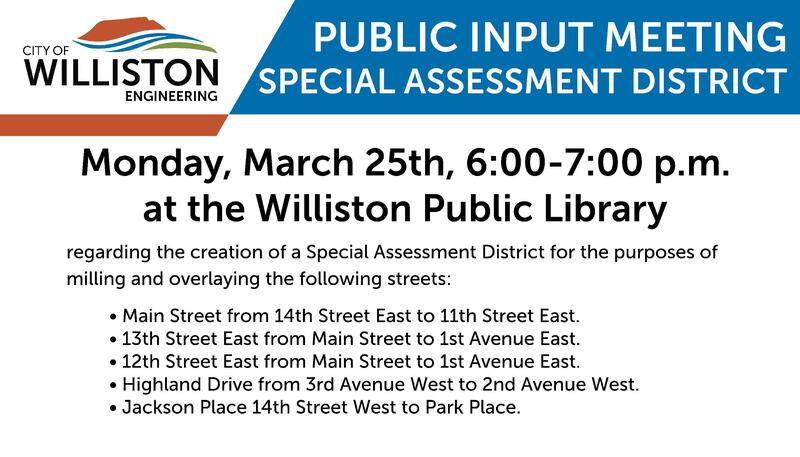 The City of Williston is seeking community input on the future planning, design and management of a massive redevelopment in Williston. 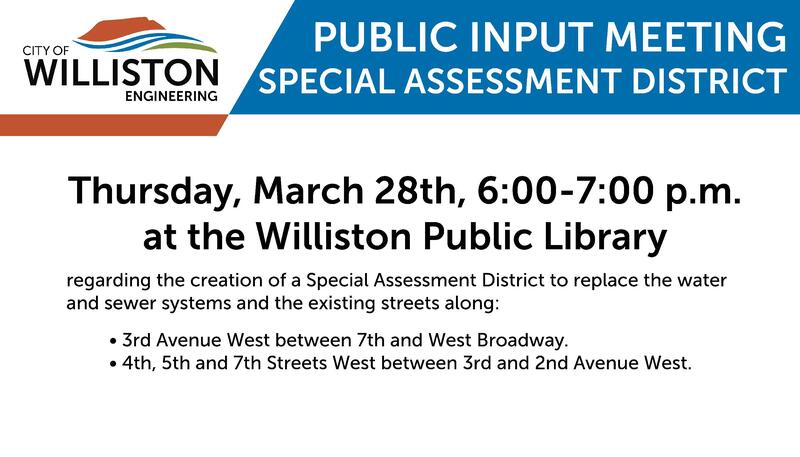 The first of three town hall meetings will be held on Wednesday, Feb. 22, from 6-8 p.m. at the Williston Area Recreation Center. 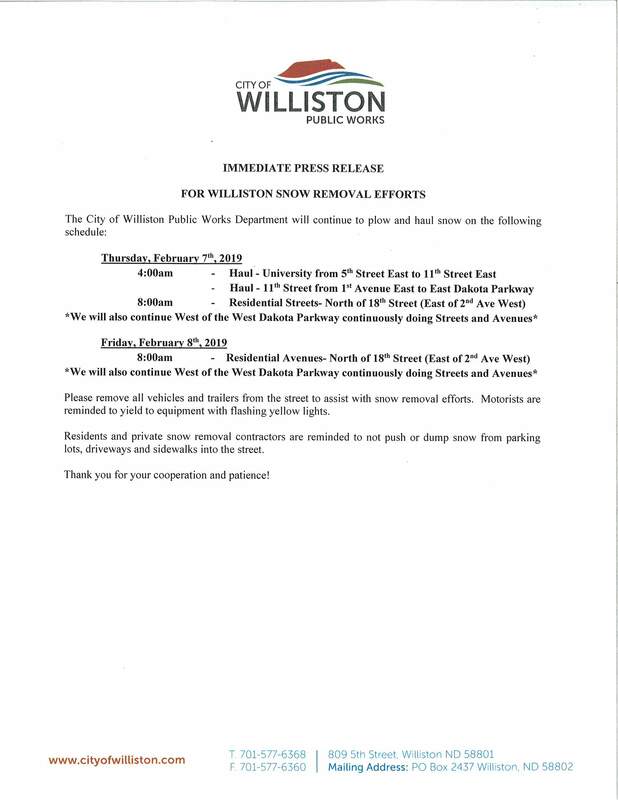 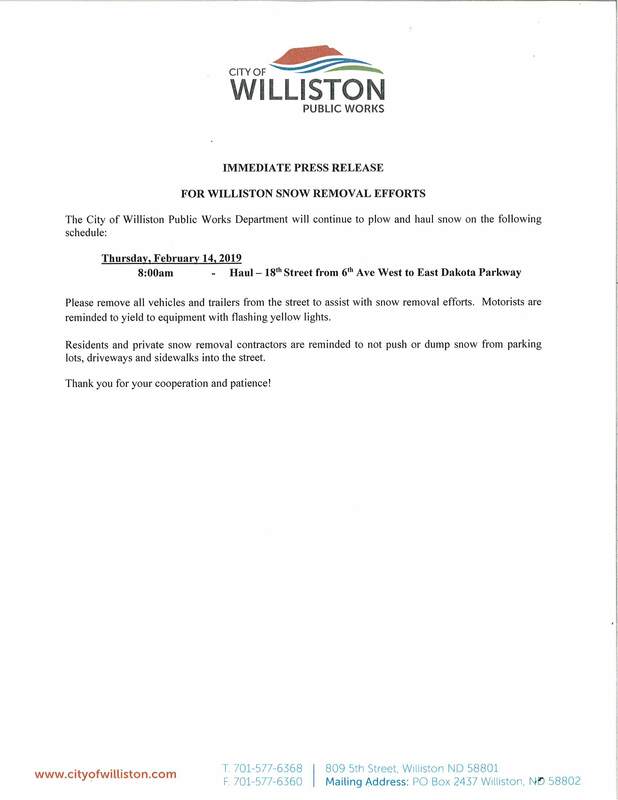 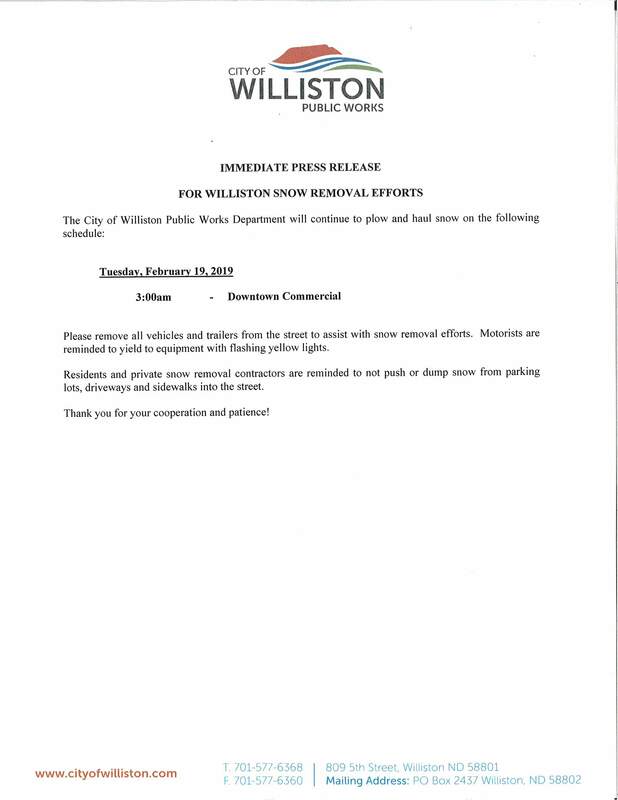 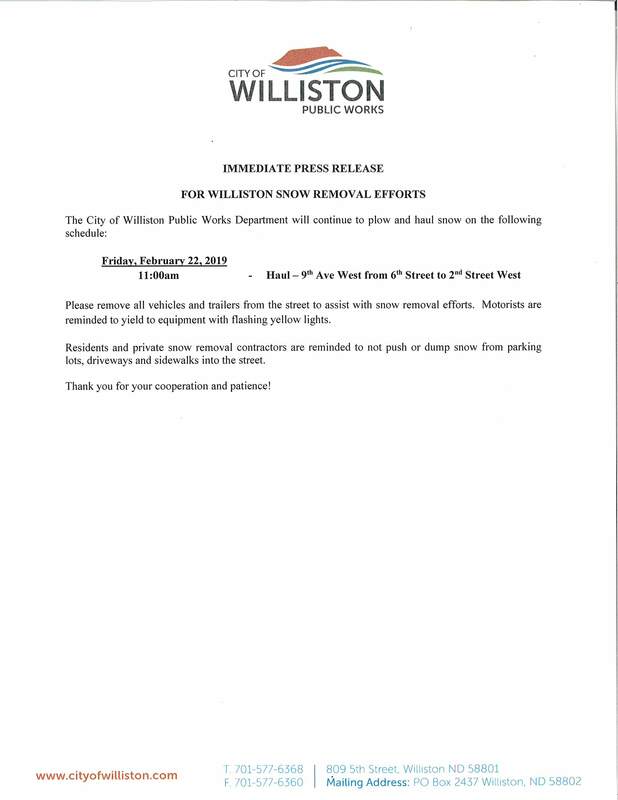 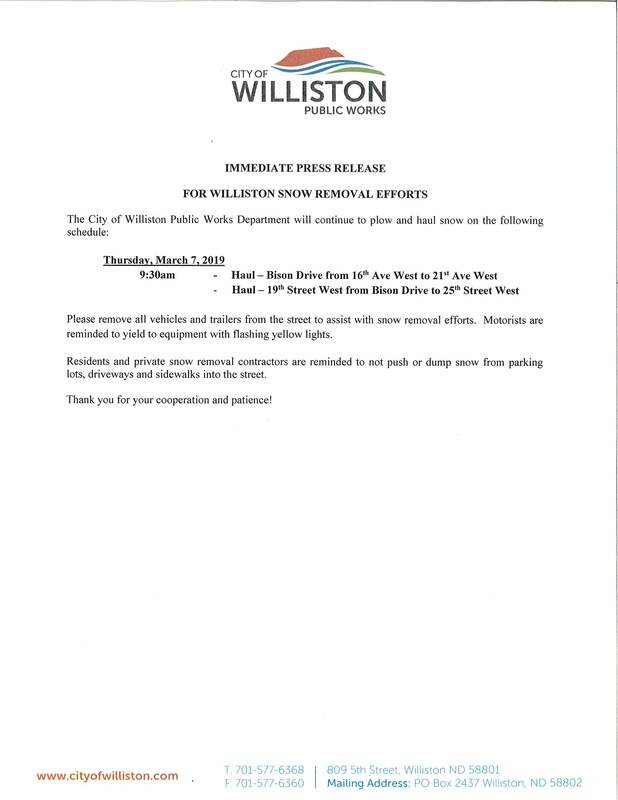 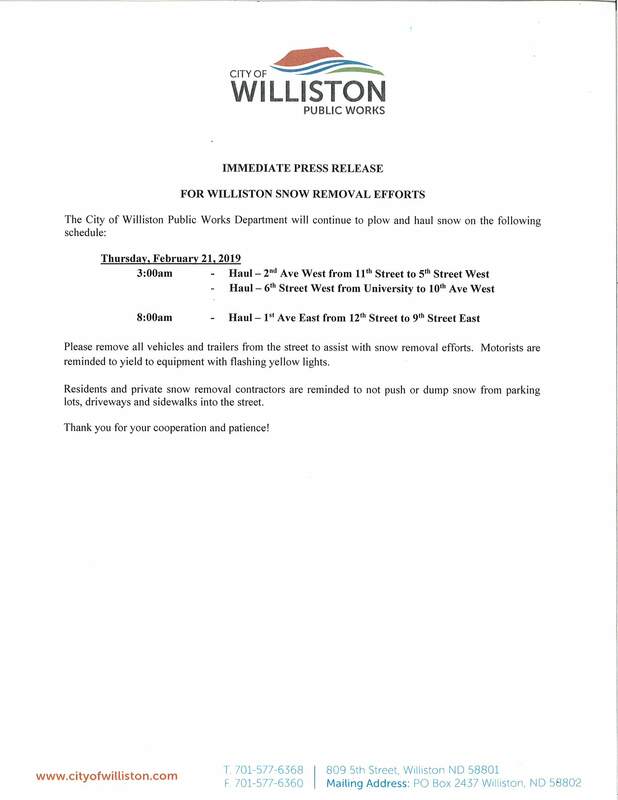 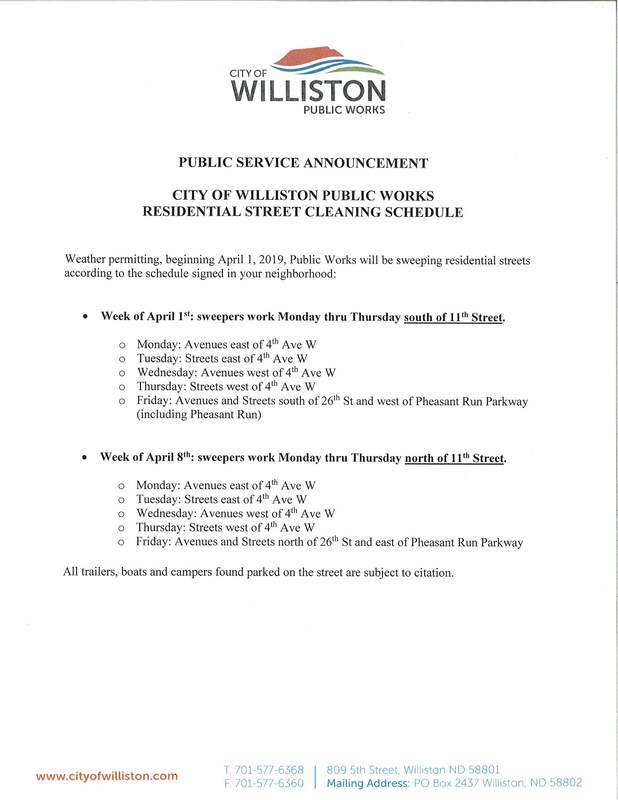 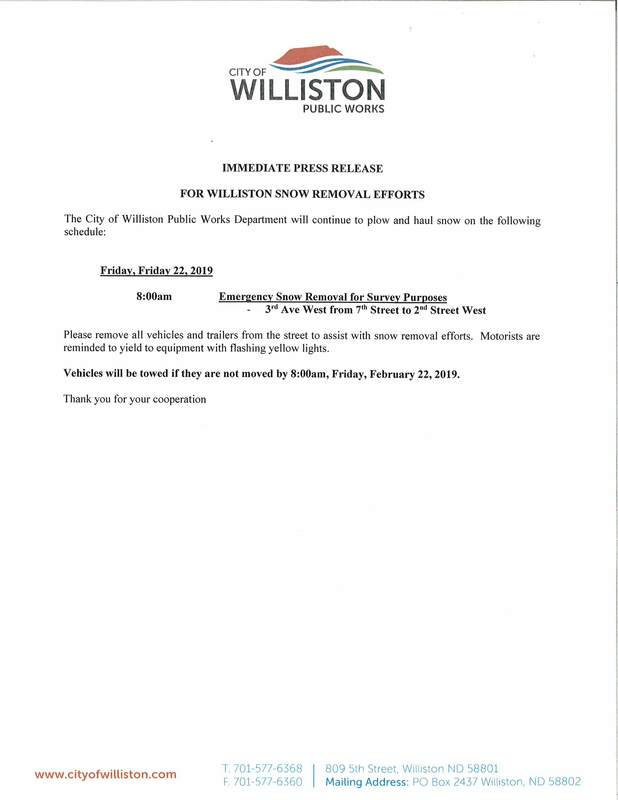 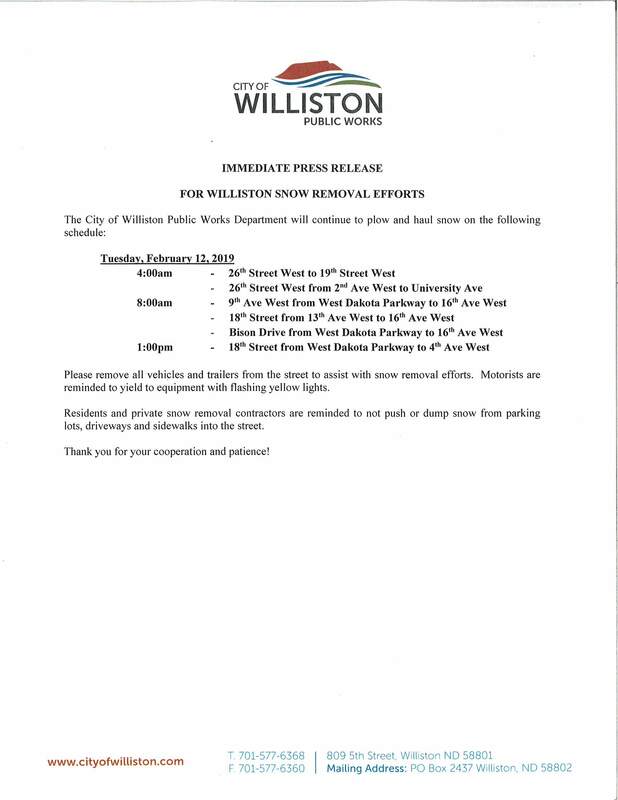 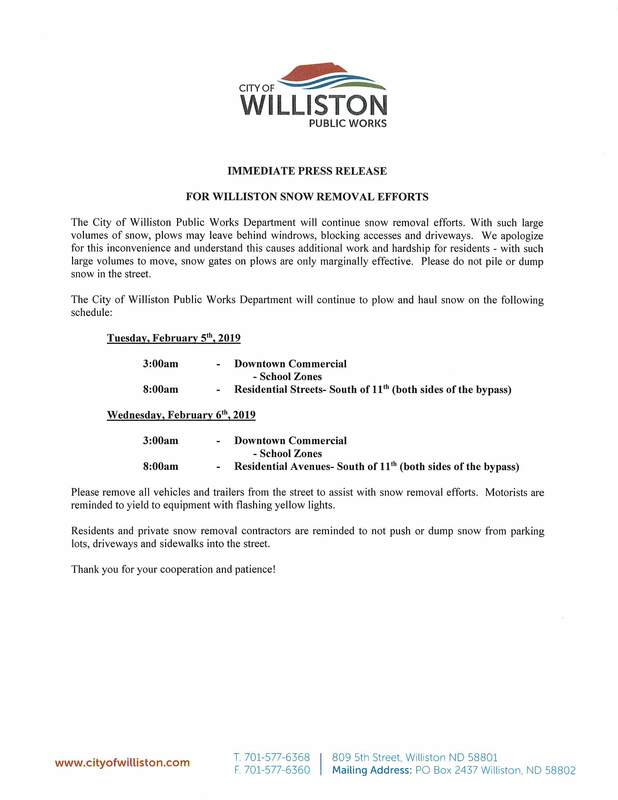 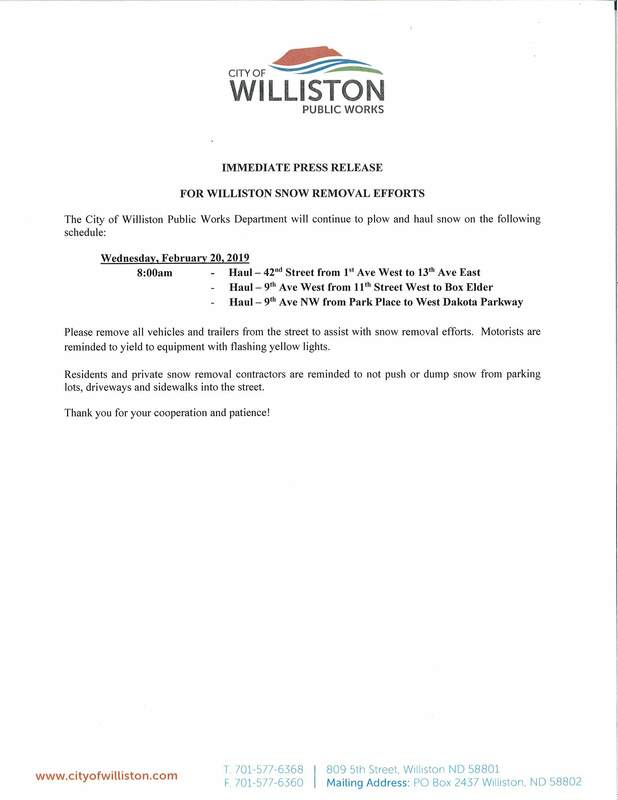 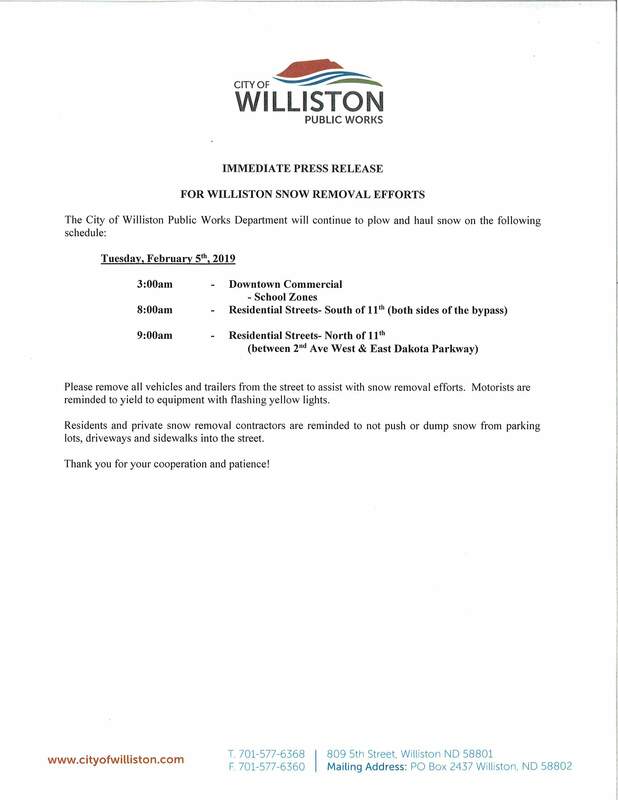 The City of Williston Public Works has set out 20 yard containers by our Public Works Building, Rickard School, and Western Star Ball Complex. 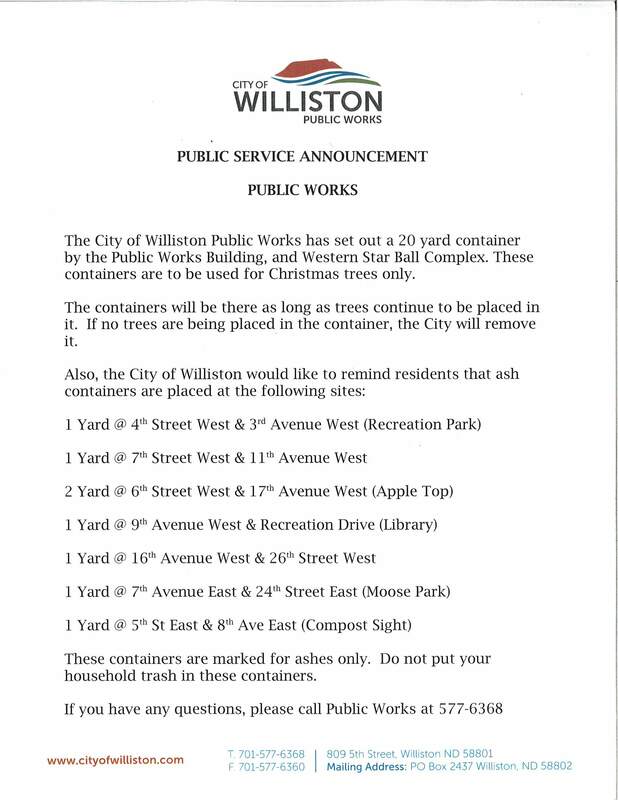 These containers are to be used for Christmas trees only. 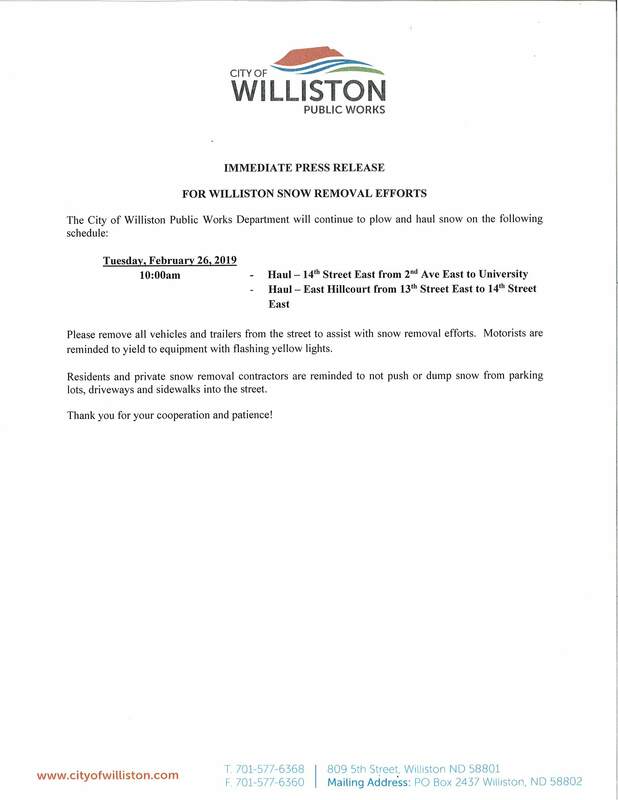 Launch of Assistant City Engineer Position.